Speed of mixer:410r/min dimension:2100*1040*2300(mm)(LxWxH). 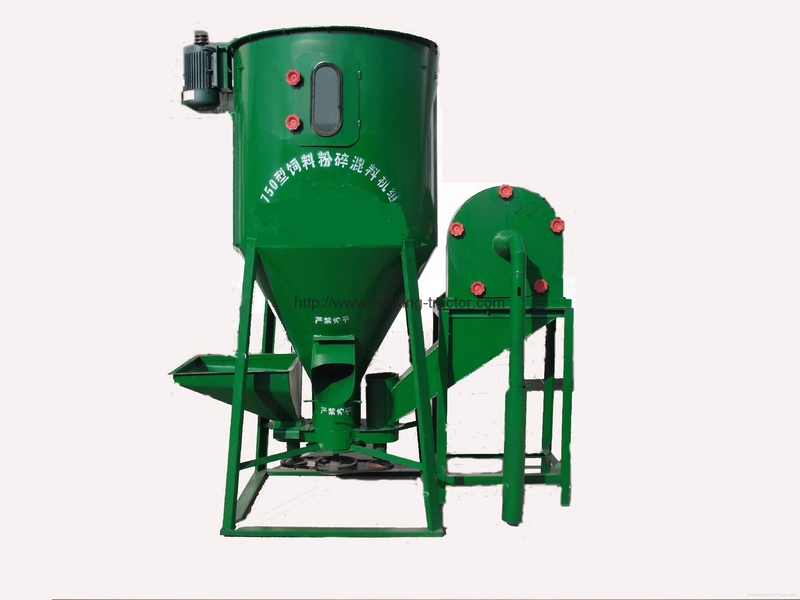 weight:300kgs feature:this machine is mainly used for crushing and mixing all kinds of dry animal feed. screw conveyor, crusher and mixer are concentrated in one, so it occupy a small place and easy to install and carry. And the crusher can absorb the raw material by itself. Mixing tube diameter：1000(mm). grinder height:1500(mm).